If you’re into technology, gadgets and things that just feel that little bit sci-fi then like me you’ll love our new range of smart lighting and their integration with other devices. Ever envisaged yourself being able to speak to your own home and issue it commands? This exciting prospect is now very much a reality and although it’s not quite JARVIS it’s pretty darn close. 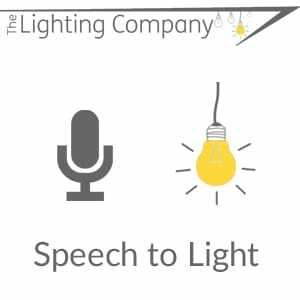 Just by following this guide I’ll show you how you can control your home lighting by simply issuing the command with your voice! With these steps you’ll be looking like Tony Stark in no time. For anyone who’s not aware who that is it’s a fictional character renowned for creating high tech gear, one such piece being his suit which when worn makes him “Iron Man”. He also created JARVIS, his A.I. assistant – more on A.I. assistants later! 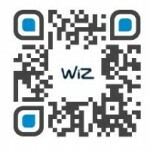 Our new range of smart lighting known as “WiZ lighting” is an LED range of lamps and fittings with intelligence. Complete with a free downloadable app that allows you to control your lights from your mobile phone these clever lights are able to be switched on or off, dimmed, colour changed and scheduled. They don’t even require a bridge (an extra device that allows the bulbs to connect and talk to your hub and other devices) unlike other smart lighting on the market such as Philips Hue. They simply connect to your Wi-Fi and away you go. Fit your bulbs and then head over to the Apple App Store or Google Play store to download the WiZ App. Feel free to scan the QR code image to the right to take you to the app. After setting up a home in the app and adding each bulb or light fitting you can now operate them from your mobile, but we want to tell someone or something to turn the living room lights on. This means you can create an Applet (name given to these IFTTT statements) which results in certain lights being activated. All we need is a suitable trigger, a specific phrase to an A.I. assistant perhaps? There are numerous A.I. assistants around but we’ll stick to the main and most commonly ones used. Let’s introduce you to Alexa. Alexa is the A.I. 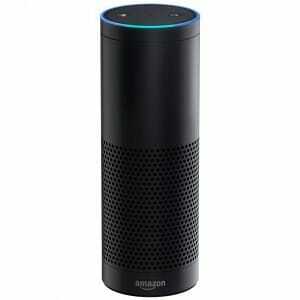 of Amazon Echo, a wireless speaker and voice command device. She is capable of voice interaction, music playback, making to-do lists, setting alarms, streaming podcasts, playing audiobooks, set timers, as well as providing weather, traffic and other real time information. She can also control several smart devices using herself as a home automation hub and with the integration of IFTTT and or the WiZ app, much more. Start by getting Alexa connected to your Wi-Fi, this can be done with the Amazon Echo app from the Apple App Store or Google Play Store. You can now use IFTTT to create an Applet which links Alexa with your WiZ lighting. Open up IFTTT and head to the create an Applet section, start by adding the “trigger” as the Amazon Alexa action service and select the “specific phrase” trigger. Choose your own phrase dependent on what you want the result to be, it will start with the required “Alexa, trigger” followed by whatever you want it to be for example “my bedroom lights”. 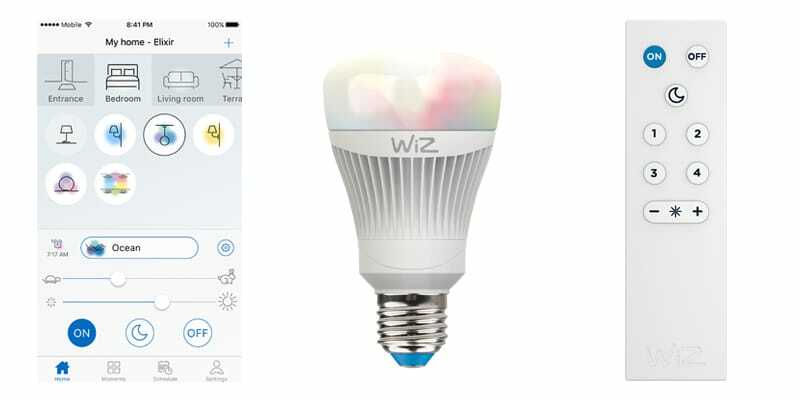 After this you’ll need to add the result, so add the WiZ lighting app as the result and select to activate your bedroom lights. Voila! You can now simply ask Alexa “Alexa, trigger my bedroom lights” and they’ll turn on automatically. You can now repeat the process to add more Applets for every room, you can even go further and add specific Applets for presets. Such as “Alexa, trigger party mode in lounge” to automatically put your WiZ lighting bulbs in your lounge onto party mode. If you’re deciding not to use IFTTT and are instead using the WiZ App which works with Amazon Alexa then simply follow the instructions on screen to connect the “skill”. As well as Alexa there’s also a very similar A.I. 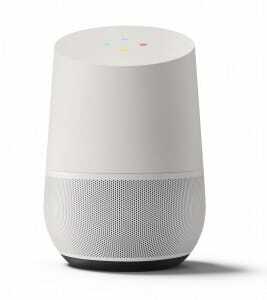 assistant; Google Home, the Google assistant. It has many similar features to Alexa meaning it is also integrated with IFTTT, this means operating your WiZ lighting system with Google Home will follow the same set up and you’ll start issuing the commands with “OK Google”. To see our entire collection of smart home products also including simple remote operated starter kits browse our Smart Lighting section. View our Wi-Fi enabled lighting section for voice compatible devices to make your home a connected home; and never fear, should your Wi-Fi drop out at any point (as all reliable routers do!) these lights can also be controlled by remote control or of course your standard light switches.